Student or 16 - 26? Save 20% - Sign Up Now! Perspex heels are hot AF right now and it's a trend which looks set to stay. Every gal needs a pair of perspex shoes in her shoedrobe - effortlessly cool, chic and so on-trend, no girl should be without them. 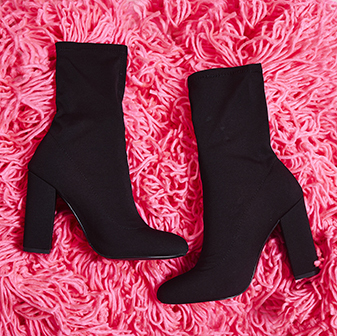 They add a cool vibe to any strappy sandal or lace up heel, so why not experiment with the most sought-after trends and textures to keep your outfits poppin'. Whether you pair them with your fave pair of skinnies or a LBD on a night out - perspex heels will look fierce with just about any outfit. 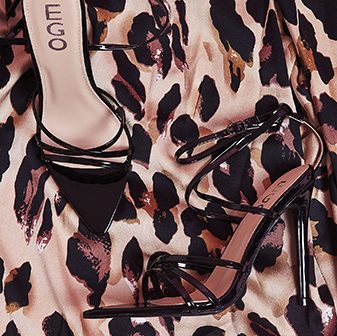 So whether you opt for perspex mules, stilettos or block heels - all eyes will be on you, girl. Hey Girl! Want 10% OFF Your Next Order? We promise to refund any item for any reason within 28 days of dispatch should you return it in a saleable condition.